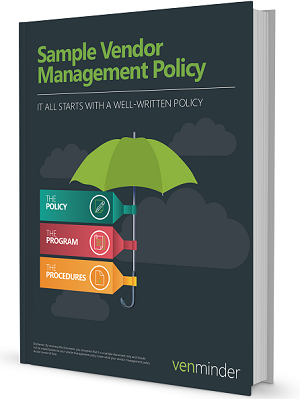 The foundation of every good vendor risk management practice is a good vendor management policy. It’s not an academic exercise: It is absolutely essential for your Policy to be read, understood and approved by senior management and the board. Stay current: When new guidance is released, you must pull that Policy out of the drawer and apply any new updates.